available at Etsy sometime soon. The specific listing daiy will be noticed once it is decides. 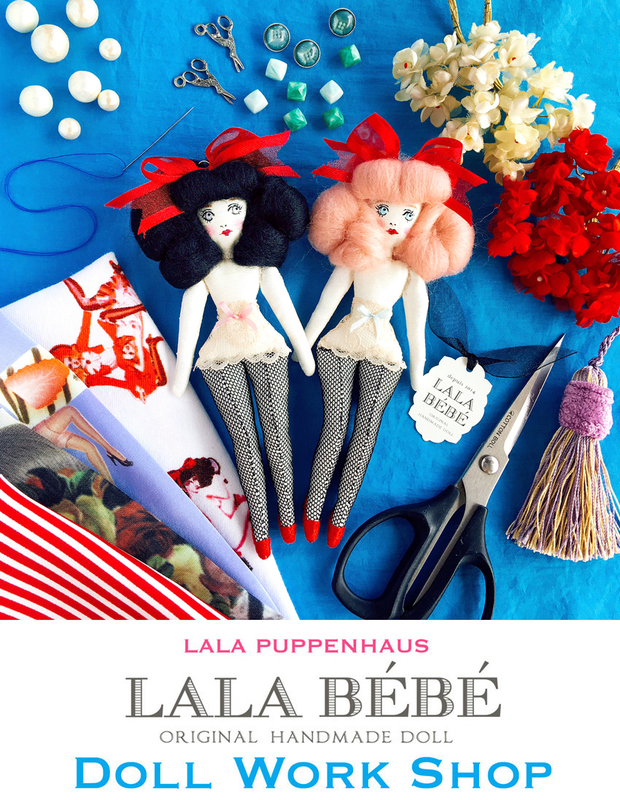 My Etsy shop will open on Dec,17,pm4:00 Japan time. 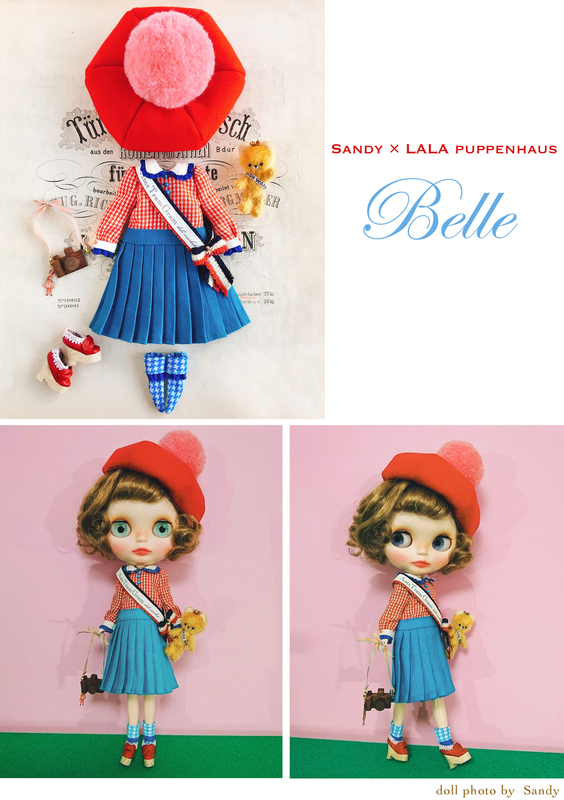 ※ Buyers can purchase one set per person. 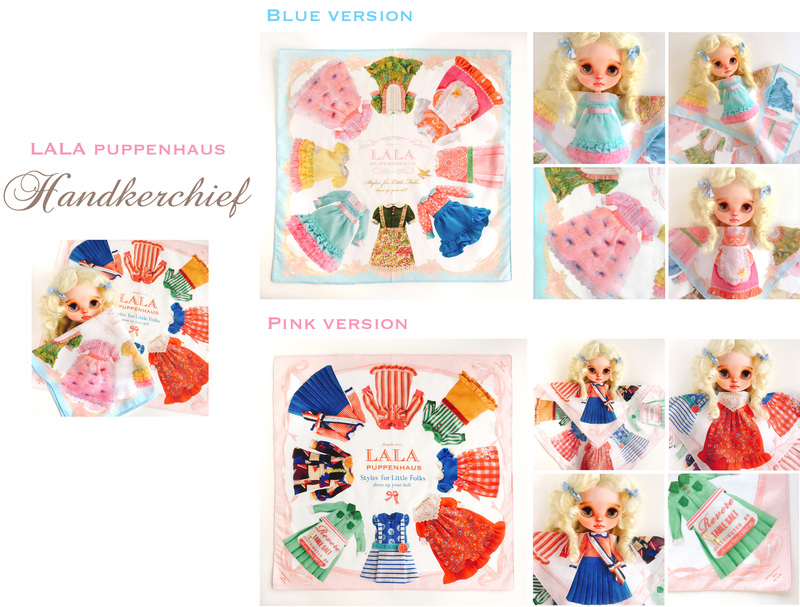 ※ I am terribly sorry to inform to those of you who purchased the Madame Lala dress set and Peach Sorbet dress set last time that your purchase will only be accepted after 30 minitues has passed from sales starting time. 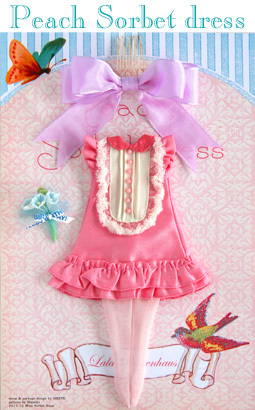 This rule is set in order to benefit the customers who have not purchased the dress set yet. ※ I ask customers to pay for the Paypal fee. The Paypal fee is included in the price. 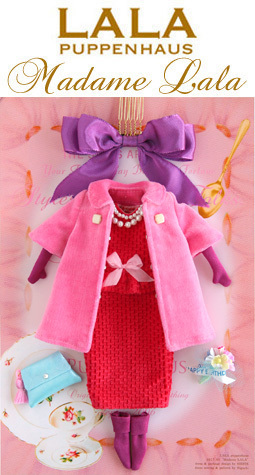 ※ The fabric color of the gloves, socks and bouqet are differ from old version. Please check the photo for comparison. 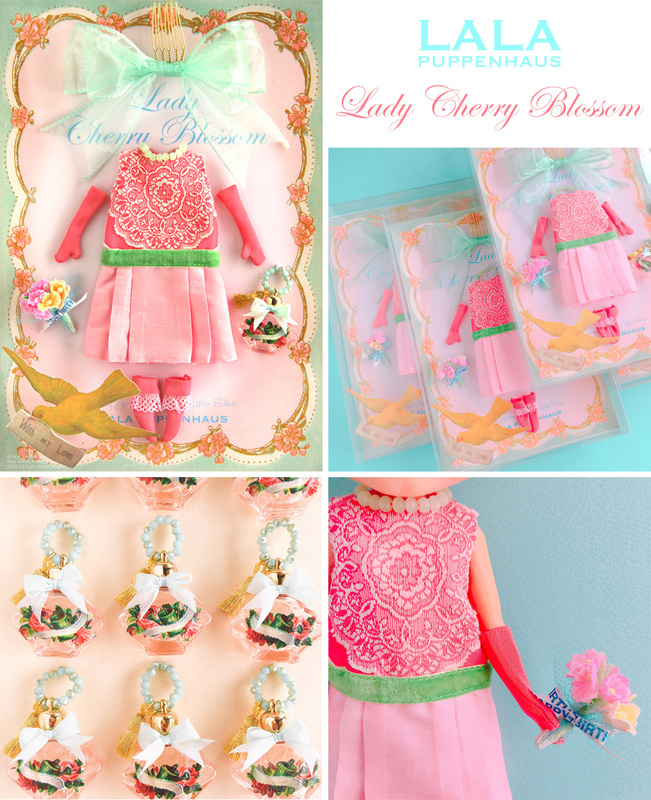 ※ Peach sorbet dress and Mint sorbet dress will be available again for sale in next Spring at my Etsy store. I hope your patience on this and thank you for your understanding. please feel free to check echo's weibo. The brooches made by hand. ■ Payment is required until Friday, 28th of July, 2017. 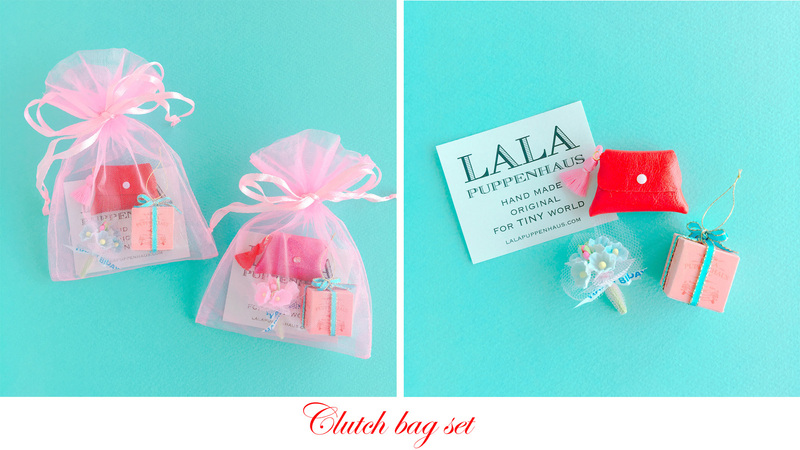 ■ Brooches will be shipped from September. 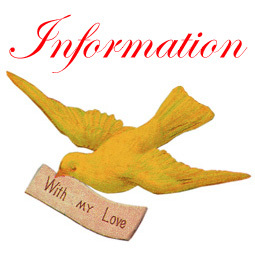 Items will be sent via EMS of Japan post. ■ Shipping charges will be charged additionally. ■ I accept PayPal only. I will sell again at the end of next month. 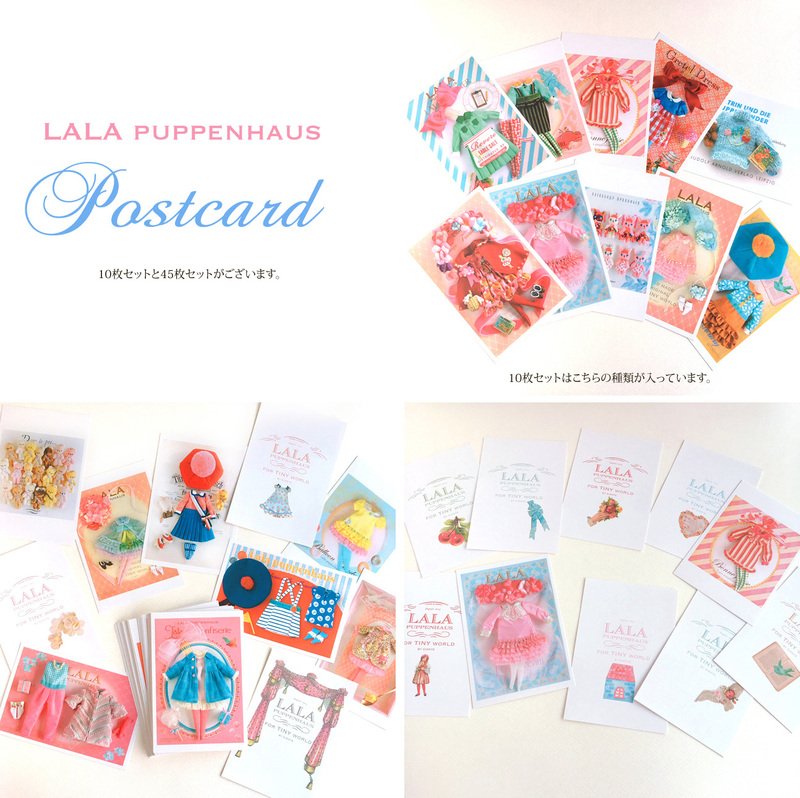 My Etsy shop will open on Jun,19,pm4:00 Japan time. 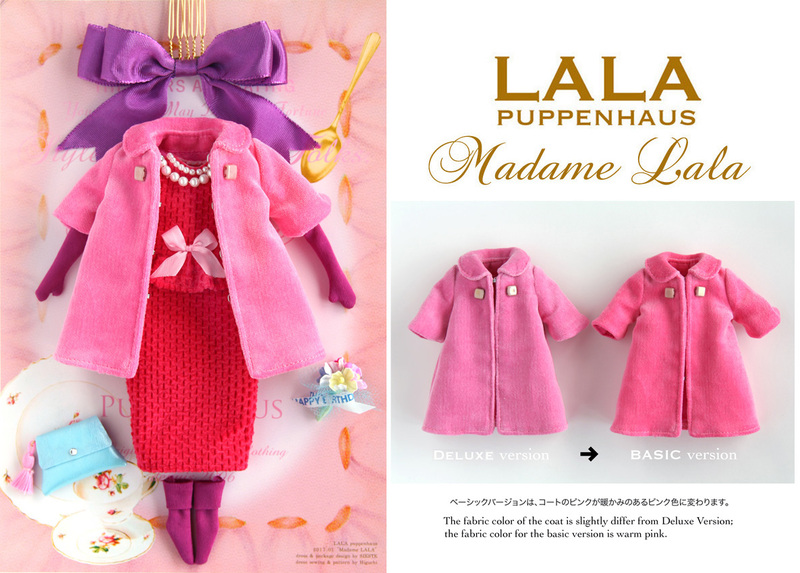 ※ I am terribly sorry to inform to those of you who purchased the Madame Lala dress set last time that your purchase will only be accepted after 30 minitues has passed from sales starting time. This rule is set in order to benefit the customers who have not purchased the dress set yet. ※ From now on, I ask customers to pay for the Paypal fee. ※ The button color has changed from pale pink to cream color. Here you can see my new springlike dress set inspired by petals of cherry blossom flowers and light green sprouts. It has a gorgeous and elegant air like a 50's vintage dress. It features intricately decorated front with the lace woven fabric and shantung silk skirt. The perfume bottle bag is decorated with the antique embossed die cut and the ribbon on the neck. 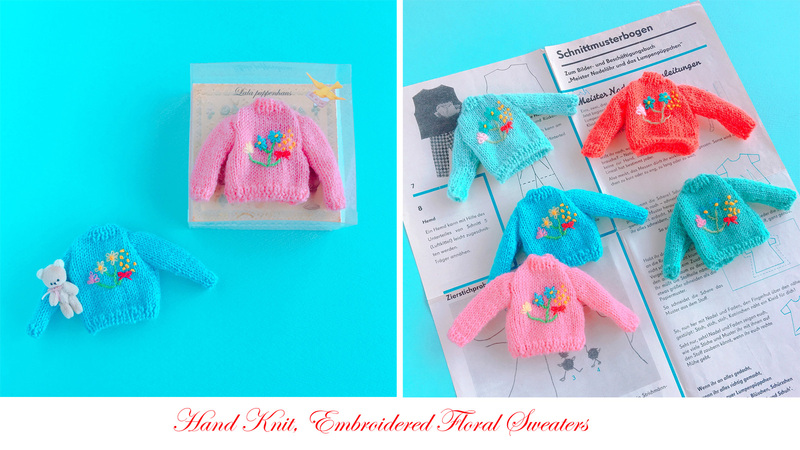 I am happy to introduce you my Retro-inspired sweaters which look like it came right out of some old picture books for children! Hand-embroidered flowers by me, and hand-knitted sweaters by my mother. The sweater closes with bead buttons at the back. Please understand that it will be viewing only and no sales of handcrafted items on May 4th (Thursday) and 5th (Friday). It won't be first come first serve, so please do not come early to wait in line. Entry time will be giving by a lottery system. No resale of any items. 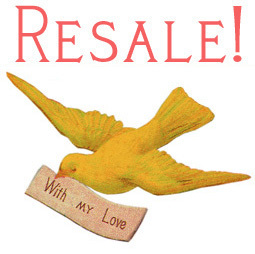 Please DO NOT make any purchase on resale purpose. 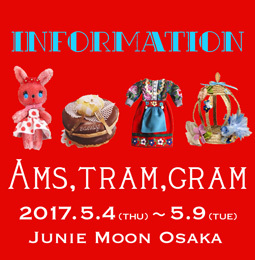 On May 6th (Saturday), the entry to the shop will be limited till 15:00 due to "AMS, TRAM, GRAM" show. There will be no shopping or visiting the shop for ordinary customers until "limited entry" ends. Thank you for your corporation. 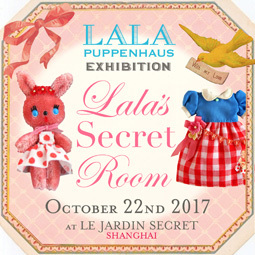 Thank you all for entering the lottery for Madame LALA dress set! The winning numbers have chosen by a lottery app named MiC BINGO. You can watch the video that MiG BINGO choosing the winning numbers on my instagram feed. The lottery winners will receive「Winning announcement」e-mails from me. All the lottery number is e-mailed to everyone who entered the lottery. If you have not received any lottery numbers from me even though you e-mailed me within the lottery entry time, please check if it is in the junk mail folder and e-mail me if it is still not there. After the announcement of the winning numbers, only the lottery winners will receive winning announcement e-mail from me. 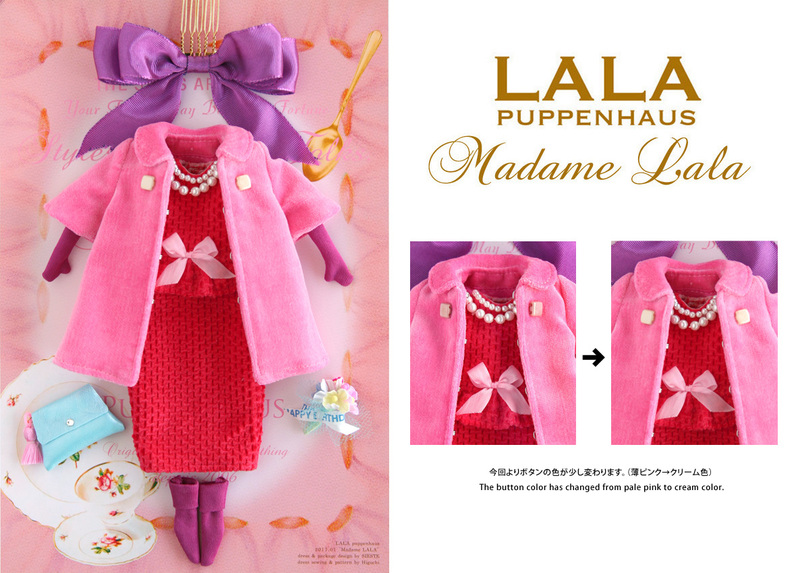 The classical dress set, 「MADAME LALA」Basic Version is ready for sale! 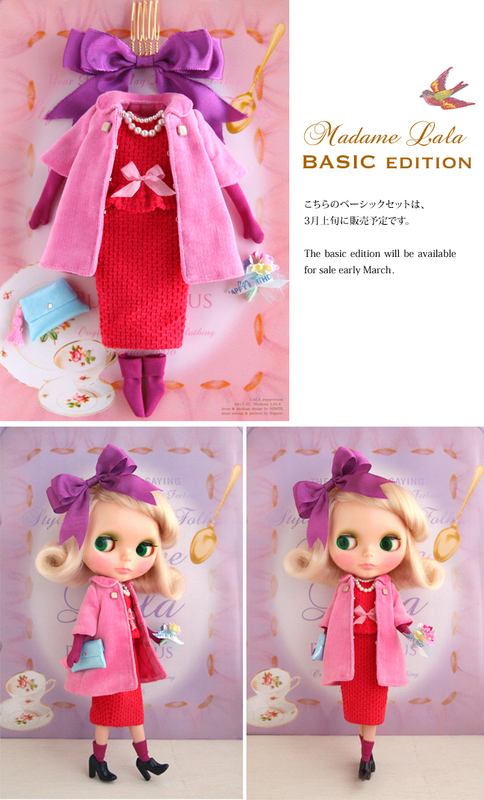 The fabric color of the coat is slightly differ from Deluxe Version; the fabric color for the basic version is warm pink. ←Please check the photo to see the color difference. The dress sets will be available via lottery only this time! Every participants will be given numbers from me via e-mail in order of their e-mails' arrival. 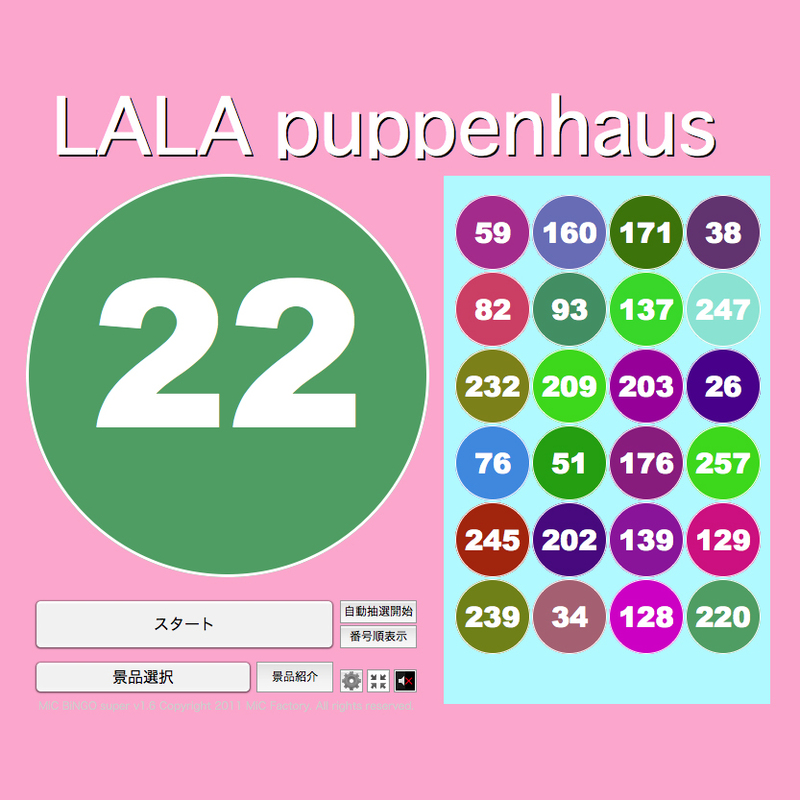 The given numbers are your lottery number. A lottery app will be used to draw the winning numbers after the lottery is closed. 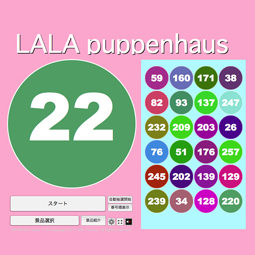 The winning numbers will be announced at 21:00(JAPAN STANDARD TIME), same day as the lottery closure day. 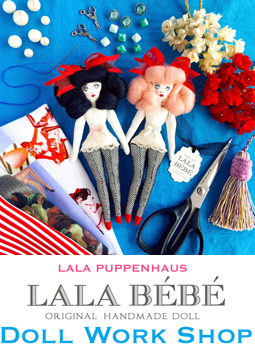 You can check the winning numbers both on my instagram(instagram ID : lala_sieste) and on Lala puppenhaus' website. Only the lottery winners will receive the order confirmation e-mail from me. The lottery entry time ：the lottery will be open at 13:00 and be closed at 14:00 (Japan Standard Time) on Saturday, April 1st, 2017. 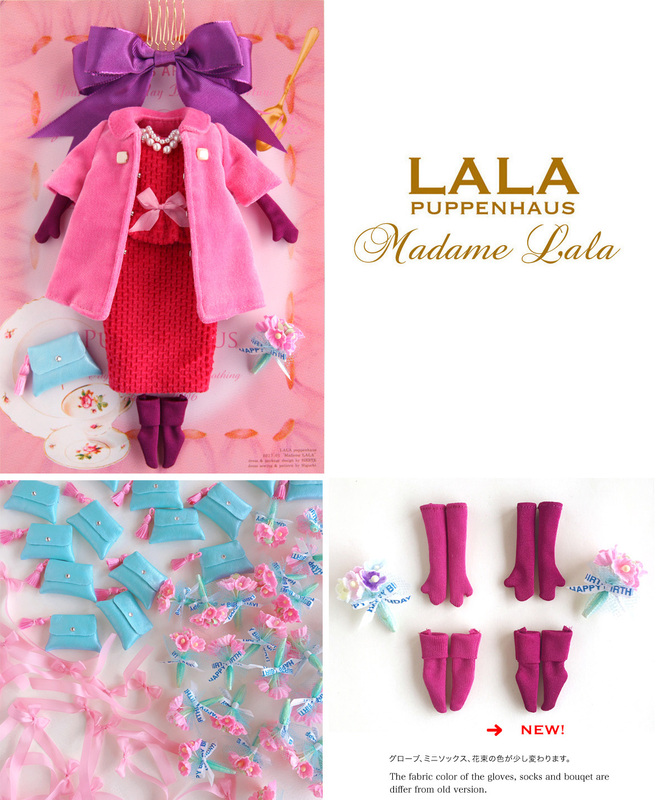 New dress set "Madame LALA" is ready! I hope you like new dress set. 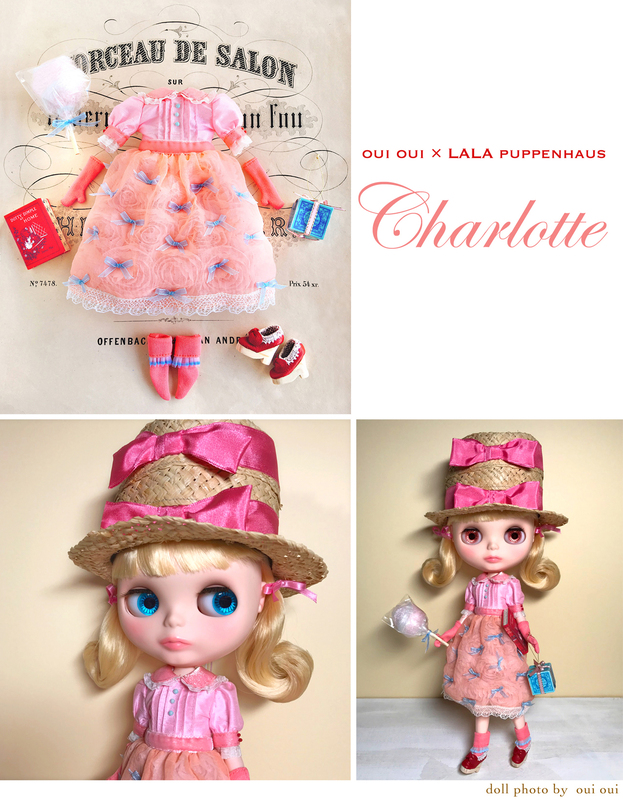 Two different types of a dress set will be available for sale this time: Deluxe edition (comes with a beret made out of vintage fabric, a perfume bottle shaped hand bag , a hat box) and Basic edition. so it will be put up to Yahoo!auction. My Yahoo auction seller ID is as follows. so please be advised when you bid. Each auction will be considered as an independent auction, so I hope your understanding even though the winning price of each auction is different, it is going to be their final prices. The basic edition will be available for sale early March.